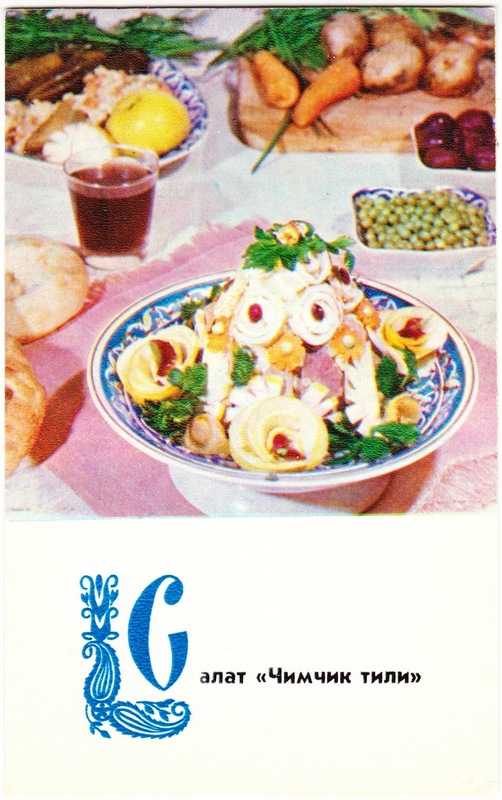 I'm not sure if there was specifically a USSR version of Betty Crocker. These days in Russian, though, it's chef Vladimir Mukhin getting high praise. But I digress. Peeled onions, washed salted or marinated cucumbers cut into small cubes. Fill with black pepper, wine vinegar, mix, put in a salad bowl. Salad decorate with mugs of cucumbers and onions. From above you can sprinkle with herbs. Book cover: "Sold to the Lady in the Green Hat"